History | Smart Start Ducky Derby – Get in the race! Its history is linked to the emergence of rubber manufacturing in the late 1800s. 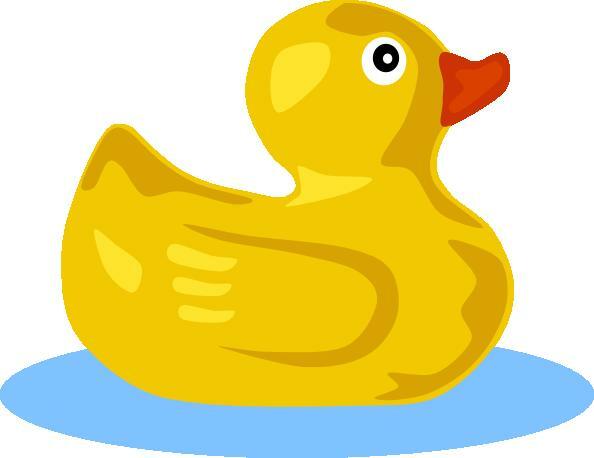 The earliest rubber ducks were made from harder rubber. Jim Henson popularized rubber ducks in 1970, performing the songs “Rubber Duckie” and “DUCKIE” as Ernie, a popular Muppet from Sesame Street. Ernie frequently spoke to his duck and carried it with him in other segments of the show. The song “Rubber Duckie” and many of the characters of the show were performed by Jim Henson. On a special occasion, Little Richard performed the song. Some variations on the standard rubber duck; a miniature duck, a red/purple/green/yellow “devil” duck, a reindeer duck, a duck in sunglasses, and a “dead” rubber duck that floats upside down. In 2001, The Sun, a British tabloid newspaper reported that Queen Elizabeth II has a rubber duck in her bathroom that wears an inflatable crown. The duck was spotted by a workman who was repainting her bathroom. 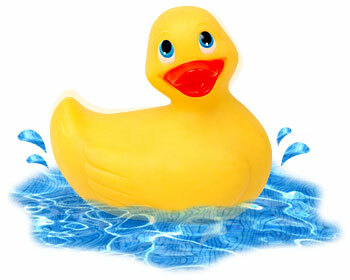 The story prompted sales of rubber ducks in the United Kingdom to increase by 80% for a short period. 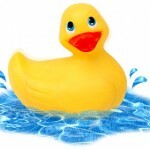 Rubber ducks are collected by a small number of enthusiasts in countries including the United Kingdom, Canada, Germany, Japan, Singapore, Australia, New Zealand, United States, and the Netherlands. The 2007 Guinness World Record for World’s Largest Rubber Duck Collection stood at 2,583 unique rubber ducks, and was awarded to Charlotte Lee. Some charities have run rubber duck races in which hundreds or thousands of rubber ducks are dumped into a river, pool, or other body of water and then floated down a race course marked off with buoys. The first one to float past the finish line is the winner (similar to the game Poohsticks). The rubber ducks are then retrieved and used again later. Due to environmental concerns, sites for duck races must be chosen with care. There are hundreds of races held in the USA and internationally. The largest race in the United States benefits the Freestore Foodbank in Cincinnati, Ohio; over 100,000 ducks are raced to raise money for the organization.